Arthur C. Salzer, is the Chief Executive Officer & Chief Investment Officer of Northland Wealth Management. As the firm’s founder, he is the visionary and driving force behind Northland Wealth. Arthur is responsible for developing and implementing the firm’s strategic plan as well as overseeing all operations and investments of the company. Arthur also advises many of the firm’s largest and most complex clients. Arthur is an active member of the CFA Society, the Family Firm Institute (FFI) and the Family Enterprise Xchange (FEX). 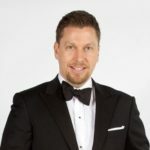 Arthur currently serves as a Director on the board of the Burlington Performing Arts Centre and is currently the Wealth Management Columnist for The Financial Post Magazine. Arthur is frequently interviewed by leading media sources such as Bloomberg, Reuters, NBC, Financial Post, Globe & Mail, Washington Times, Wealth Professional Magazine, CTV and CBC for market analysis and commentary and is a frequent speaker at leading family office and investment conferences across North America. Wealth Professional Magazine has featured Arthur as the Top Ranked advisor in Canada along with being recognized in its Hot List as one of the Canada’s leading wealth management executives. A graduate of McMaster University (B.A. Econ. ), he also holds the designations of Certified Investment Manager and Chartered Financial Analyst.